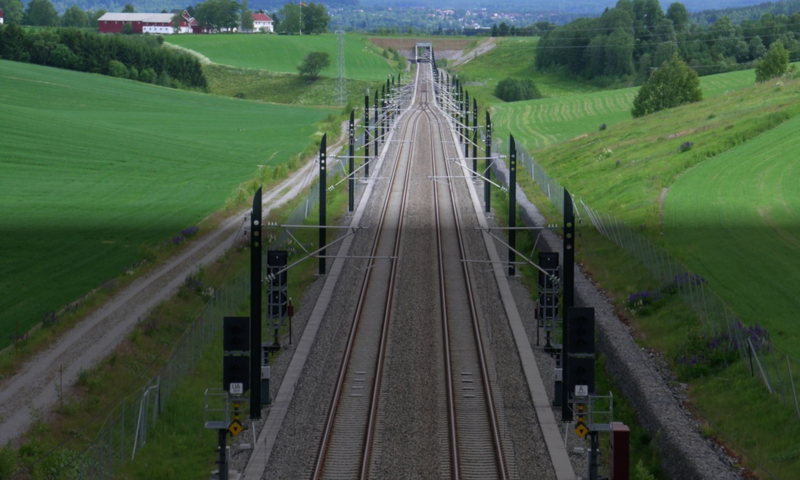 RailCOMPLETE offers a complete user environment for the railway engineer. 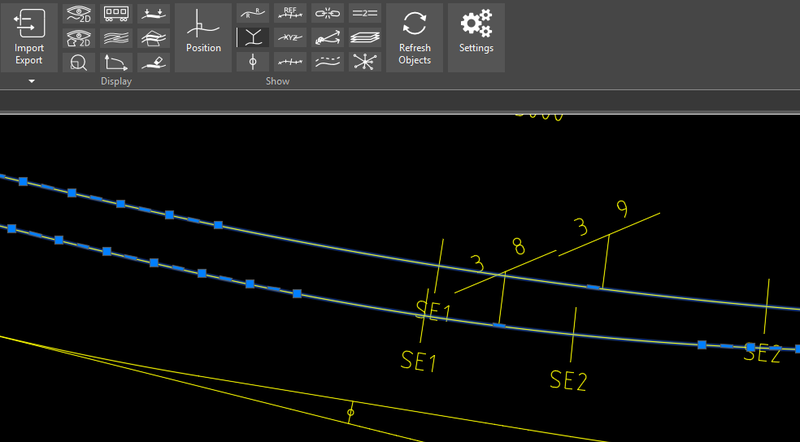 It’s hardly necessary to know anything beforehand about using the CAD tool. 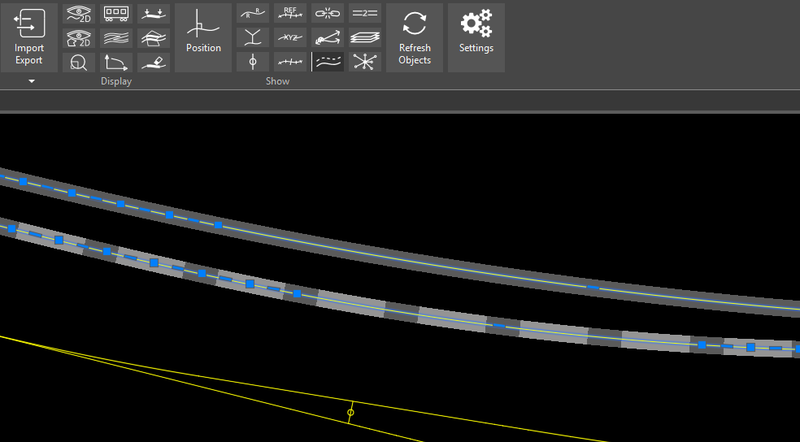 The “show” and “display” tools provided with RailCOMPLETE turn on and off BIM visual information that is essential to the various railway disciplines. 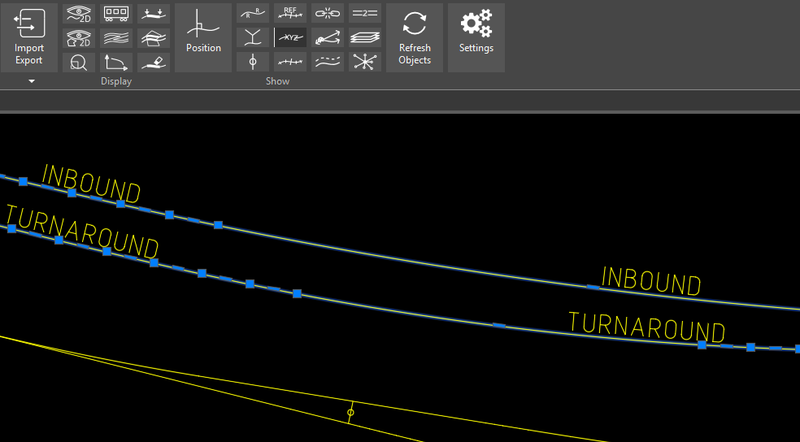 Most annotations will automatically adjust their text heights and amount of detail to the current screen view. 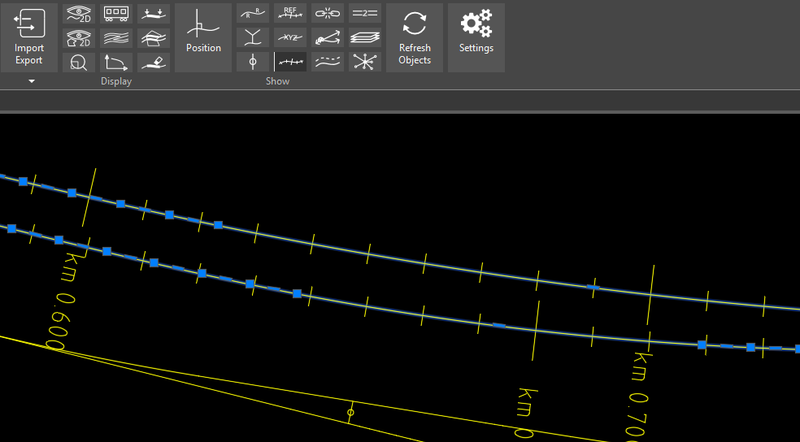 In order to make annotations permanent in your drawing, simply turn on the desired annotations, resize your modelspace view to set the right annotation size, right-click and select «Copy annotations to drawing». 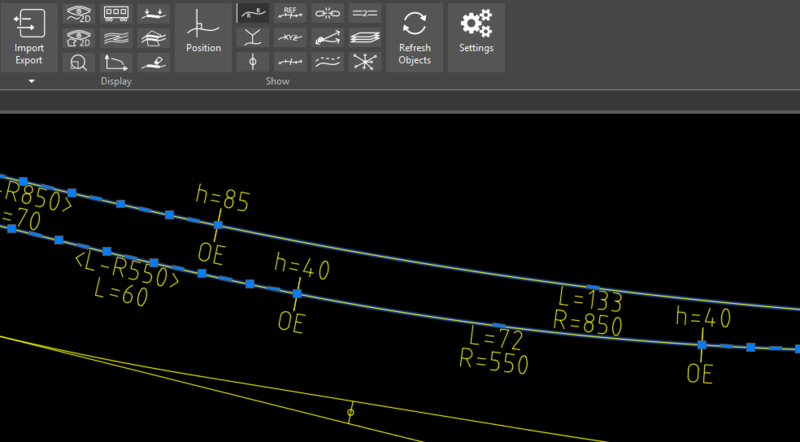 The illustrations below show some of the most common BIM annotation tools.